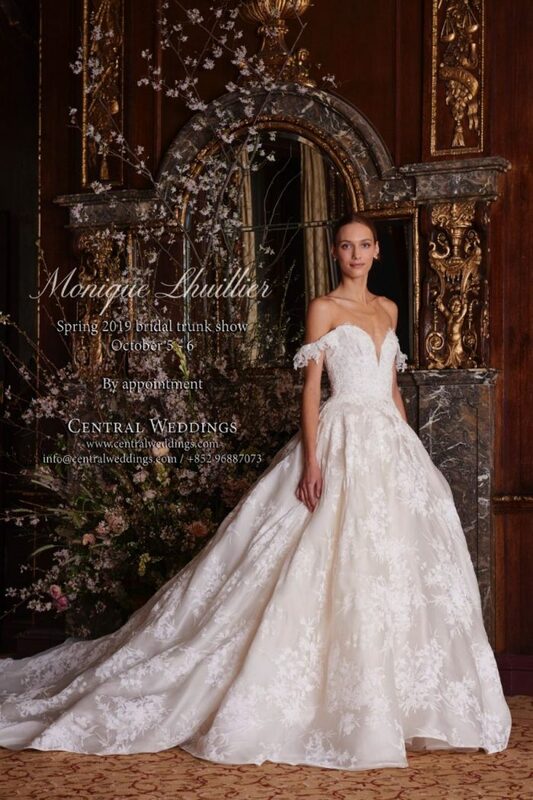 The Monique Lhuillier Spring 2019 bridal colleciton will be flown in from Los Angeles for this event to be held on October 5 and 6. Known as the queen of romance, the designer brings a mesmerizing collection that is all about understated elegance. From sleek silk crepe column gowns to natural wasited skirts with structure necklines to show-stopping V-neck lace cathedral ballgowns, her designs resonates timeless, regal beauty, the way that each Monique Lhuillier bride should be on her big day. Special gifts with purchase. Call for your appointment.